I felt this poem by Andrew Voigt matched this great location on the yorkshire moors very well ! What if God isn’t really there? Will the sun rise once again? A distant dream, a long-lost friend? Could it be the day awakes? The winter gone, new hopes to chase? But what if hope still remains? And what if love is not in vain? Could there be a God of love? Who walked this earth and gave his blood? Could God really care for souls so lost? Andrew Voigt is a writer and blogger discussing thoughts on God, dreams, and brokenness. He has served as a contributing writer for publications such as Patheos, Fathom Magazine, and Kingdom Spark. Andrew holds a B.S. in Communication Studies from Liberty University and lives in Charlotte, NC with his wife and orange cat named Pumpkin. This entry was posted on November 2, 2017 by nigel borrington. 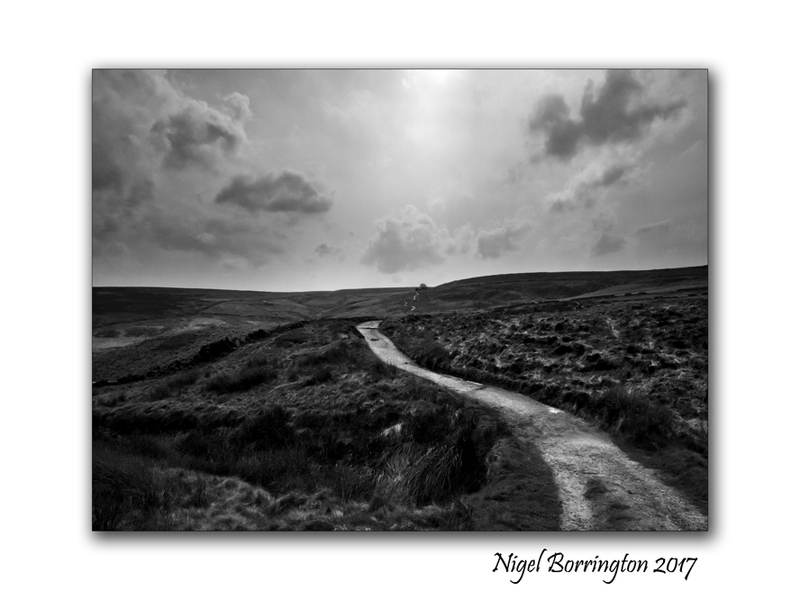 It was filed under Emily Bronte, Forgotten places, Landscape, Nigel Borrington, Poetry Gallery, Solo images, Travel Locations and was tagged with A Poem, Andrew Voigt, Brokenhearted, Haworth, Here I Am Still Breathing, Nigel Borrington, poem, poetry, Top Withens, West Yorkshire, Wuthering heights. Fantastic, the writer of this poem really gets it. The photo really brings that day with no color to life.